LONDON – The world of wealth is changing its destiny. 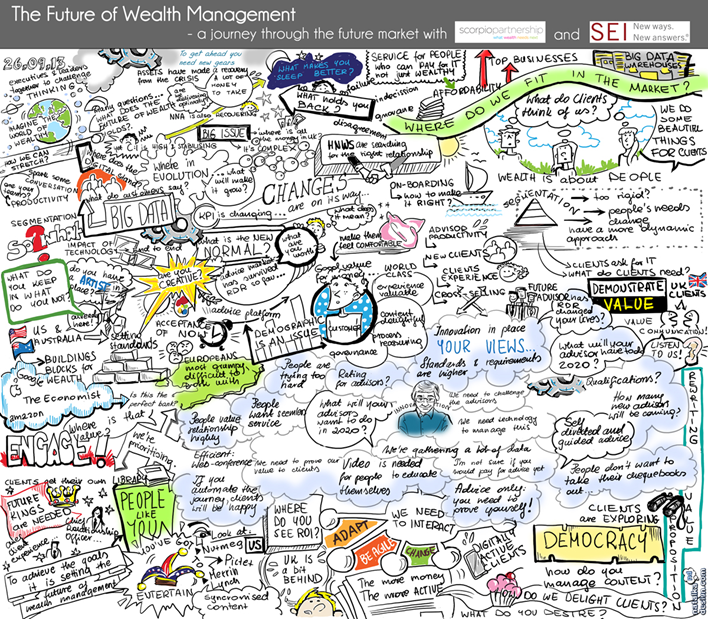 The global wealth management consultancy released a pictorial representation of the key themes in wealth management at an innovation forum hosted by SEI Investments. The image is a collation of feedback from the wealth management industry and HNW clients and reflects the evolving challenges and opportunities of the global private banking model. The picture was commissioned by Scorpio Partnership and created by Natalia Talkowska from Natalka Design.